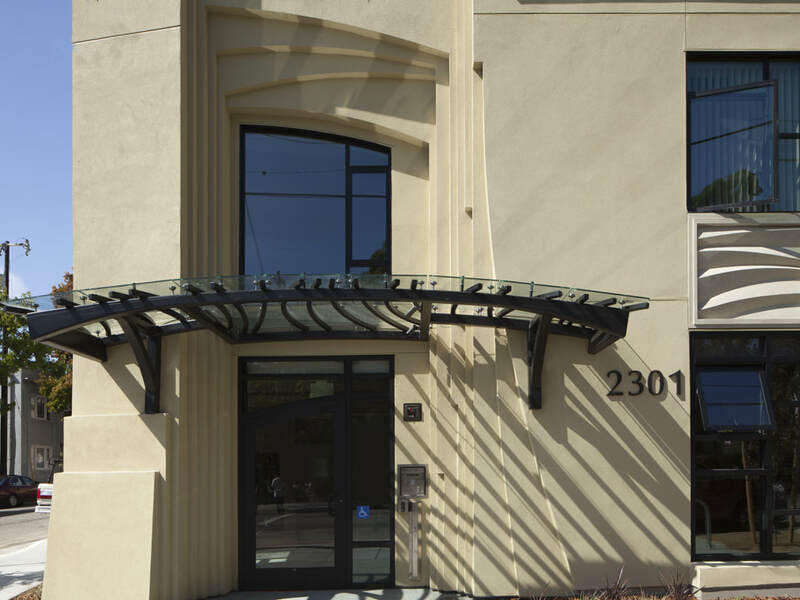 The architecture neither mimics nor neglects Berkeley's architectural heritage, but responds to its place and time with a vocabulary all its own. 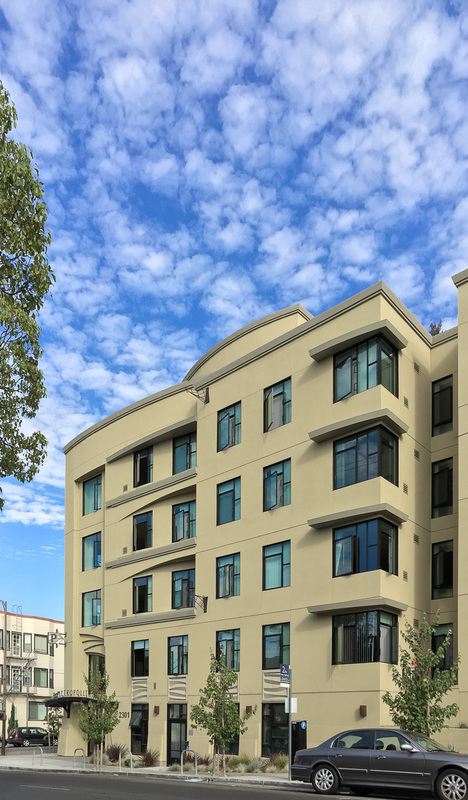 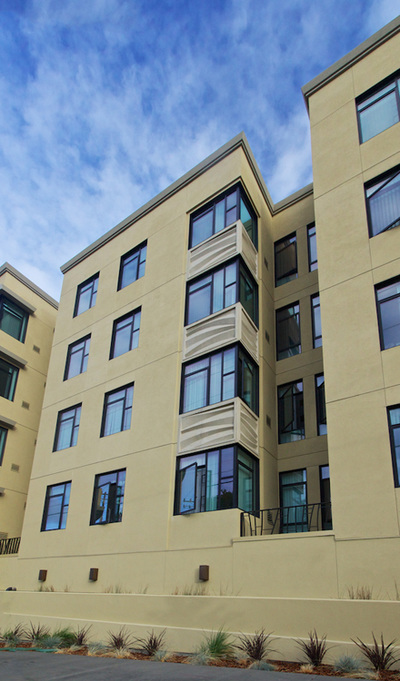 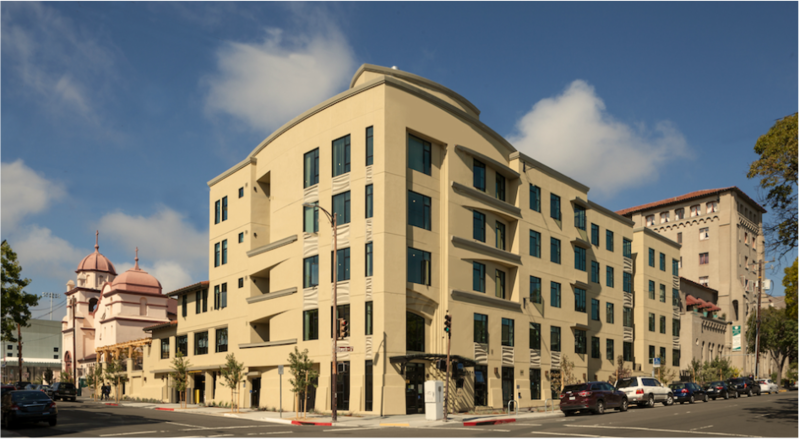 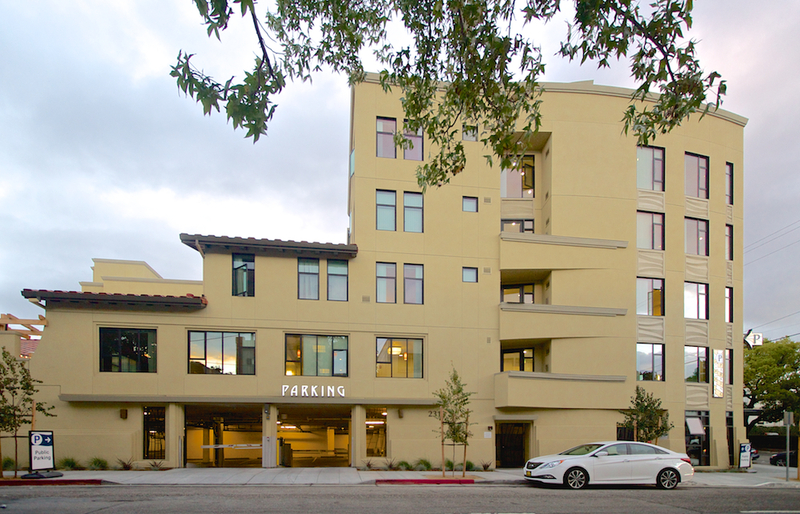 The area around UC Berkeley has been plagued in the last 15 years by student housing projects that copy classical buildings or present cold ‘modern’ boxes in bright colors. 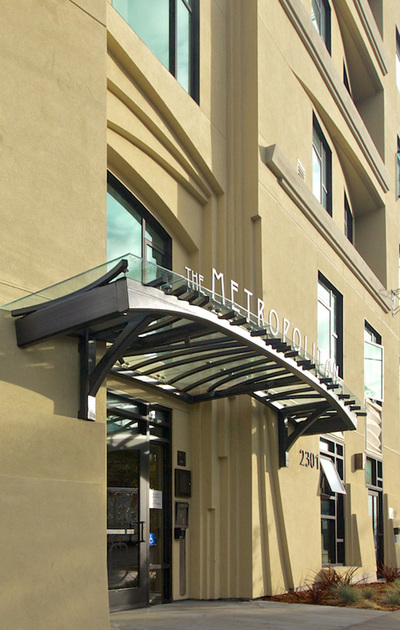 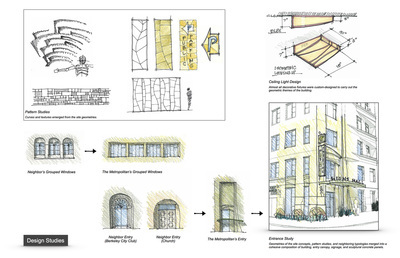 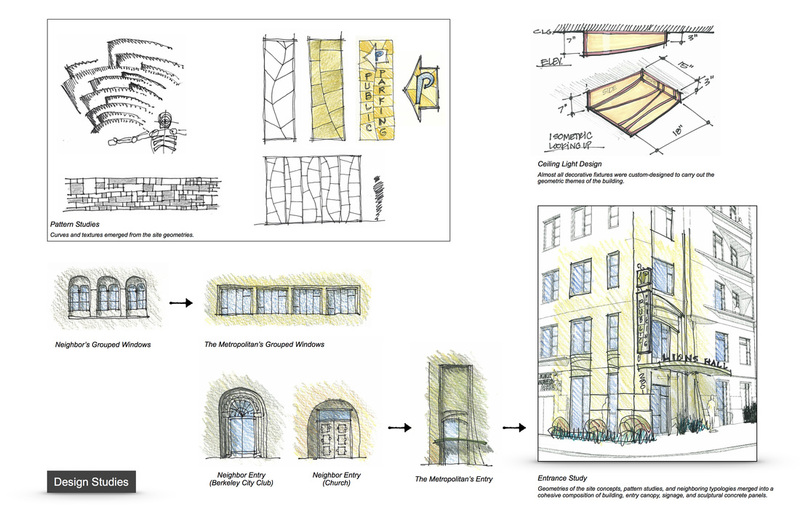 With The Metropolitan we provided a sculptural, clearly contemporary building that has a vocabulary all its own. 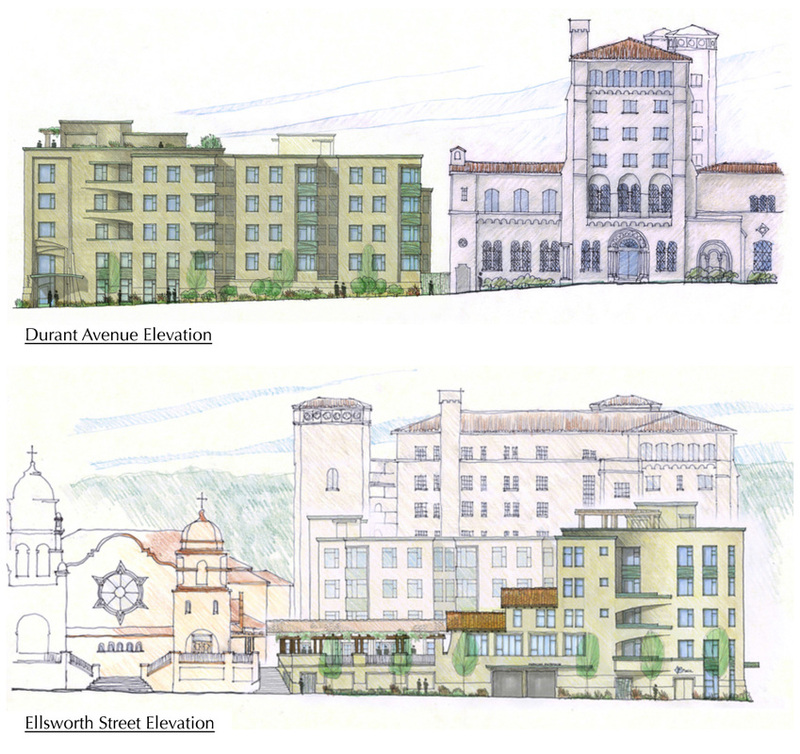 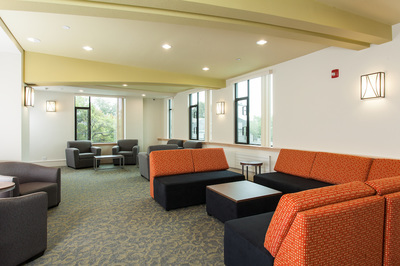 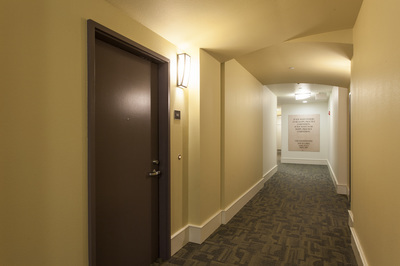 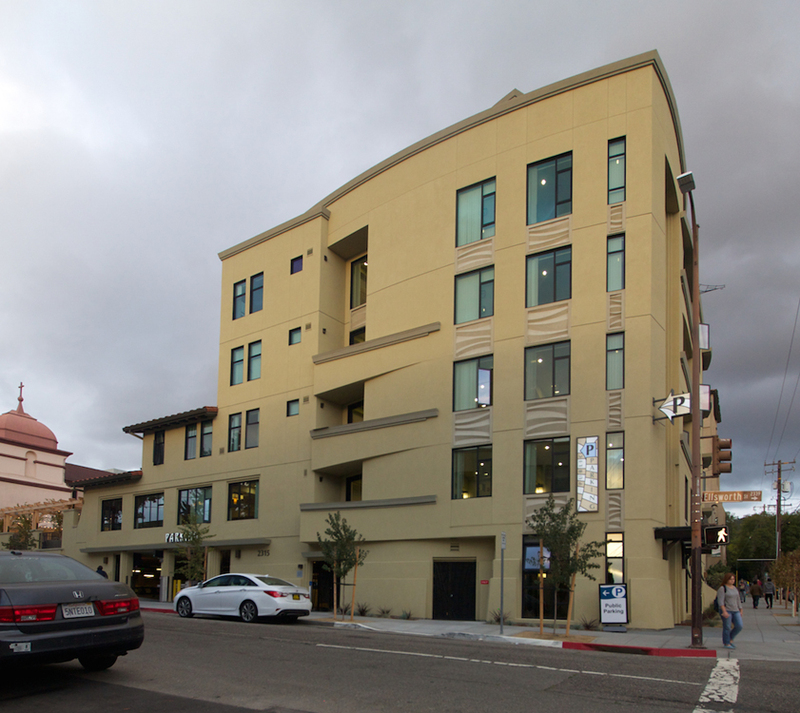 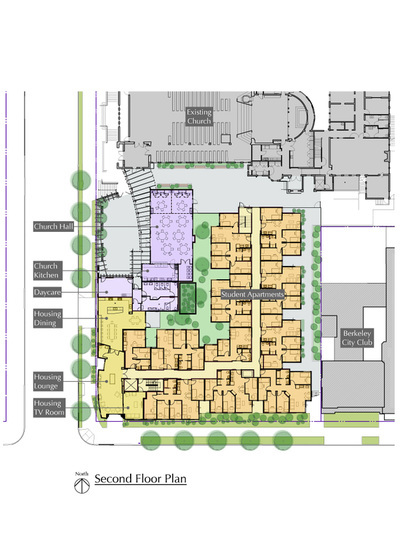 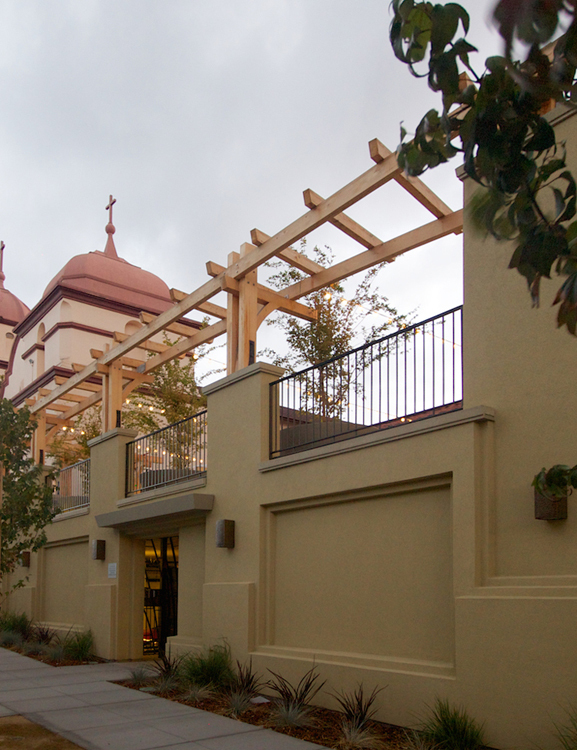 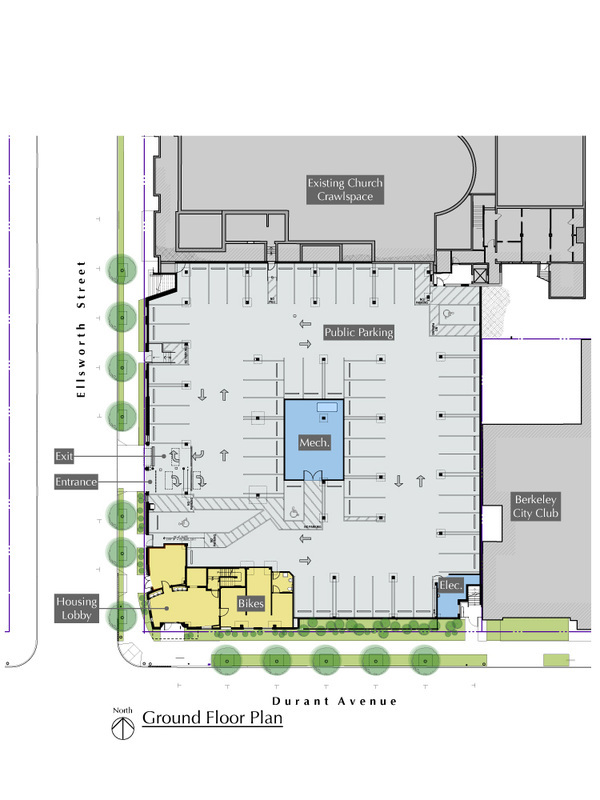 The building has three independent functions: a ground-floor public parking garage, car-free student housing, and a social hall and classrooms for the adjacent St. Mark’s Church. 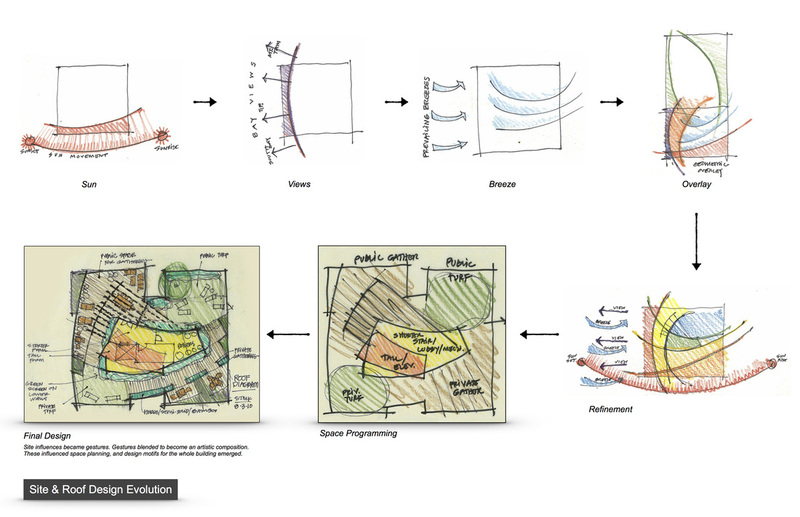 Design consistency is important in our work. From the largest gestures on a project, such as the curves in plan and of the balconies, all the way to sign brackets and metal post bases - and even to the project logo - there is a design thread that defines the building’s character. 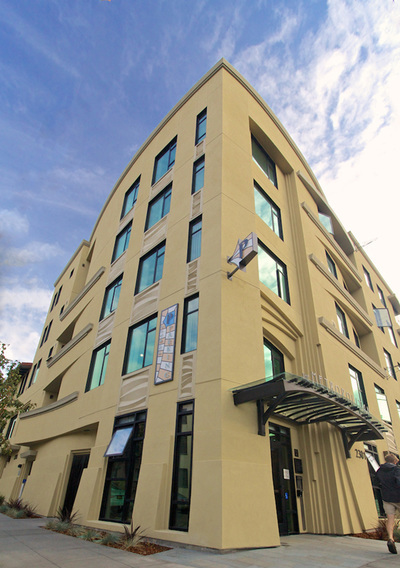 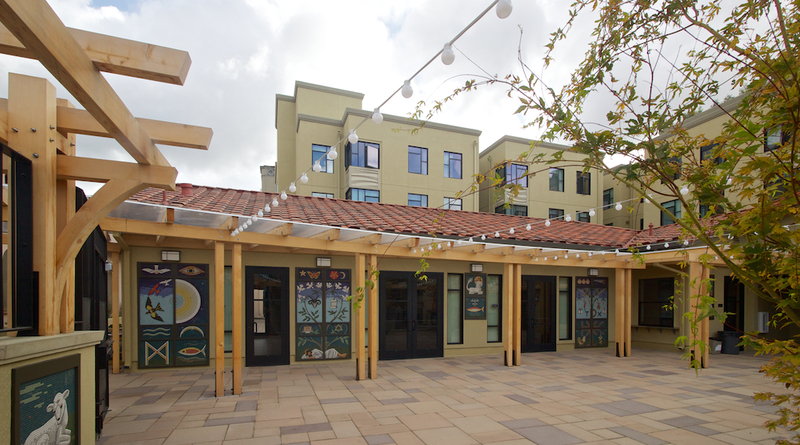 Located just a block from campus and two blocks from the main UC Berkeley Dining facilities and Telegraph Avenue, students get UC Dining cards as part of their rent. 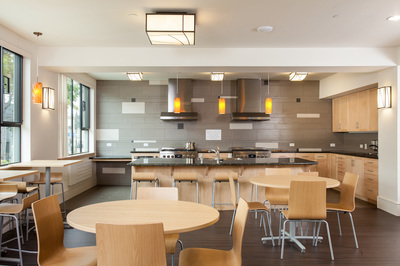 They also have full-time access to three large kitchens in the building's common spaces. 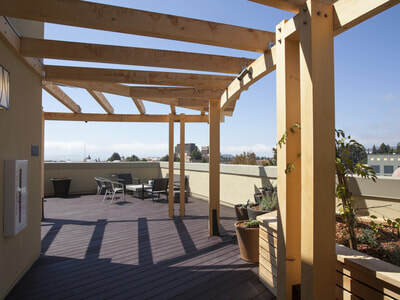 The common spaces occupy the corner of each floor, offering great light and dramatic views of the San Francisco Bay. Various activity areas, such as a pool table, big-screen TV room, study areas, common kitchens, and dining areas activate these spaces, making them the heart of living at The Metropolitan. 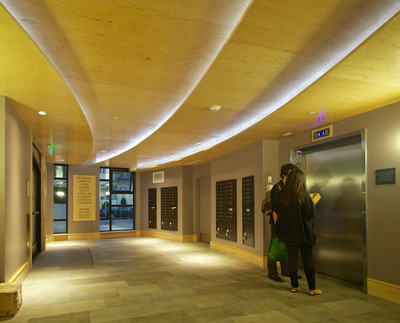 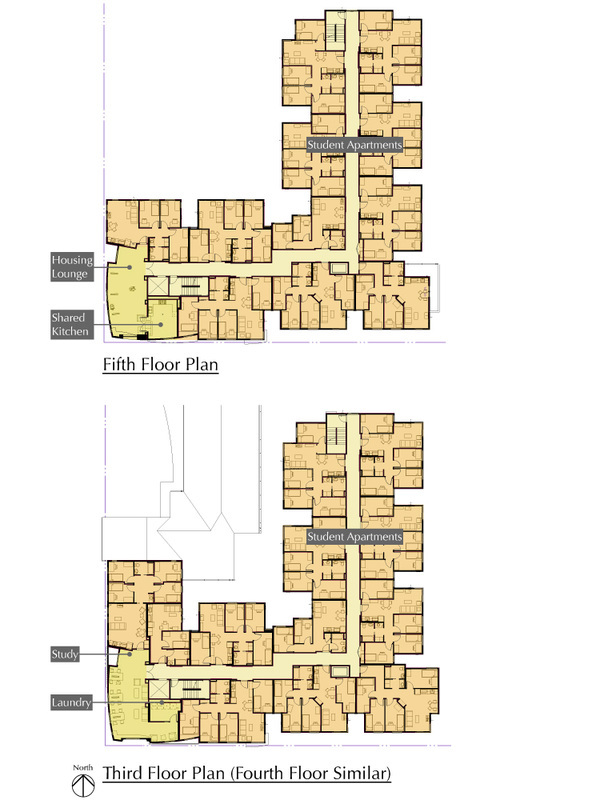 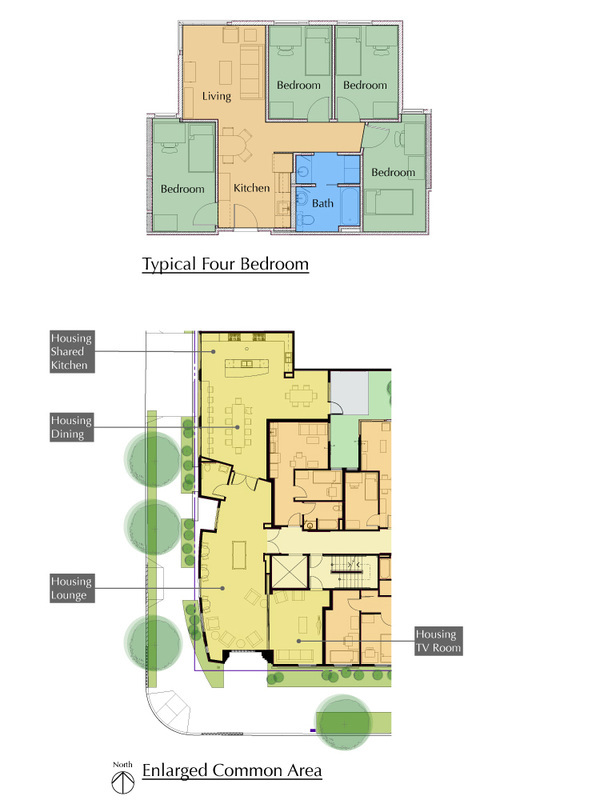 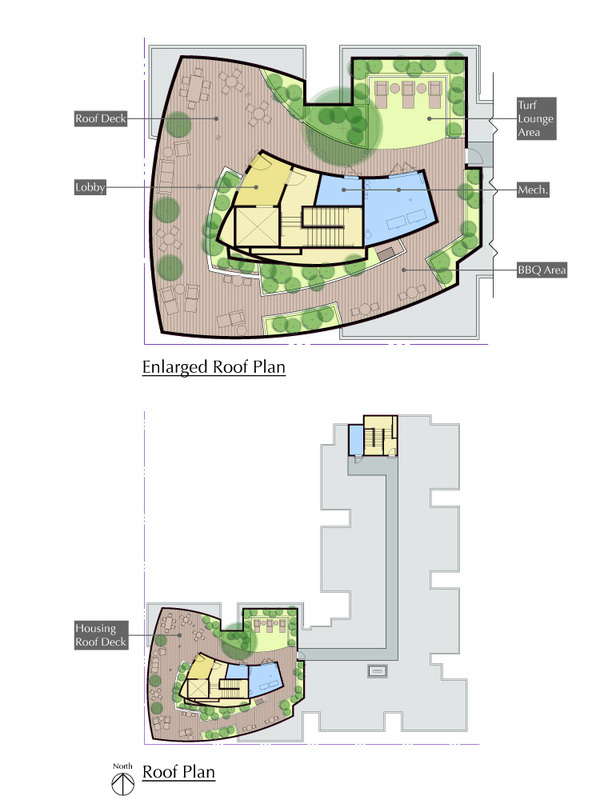 Features: Spacious common area, shared kitchens, eco elevator, 56 bike spaces, rainwater collection, and low water planting.